For premodern audiences, poetic form did not exist solely as meter, stanzas, or rhyme scheme. Rather, the form of a poem emerged as an experience, one generated when an audience immersed in a culture of dance encountered a poetic text. 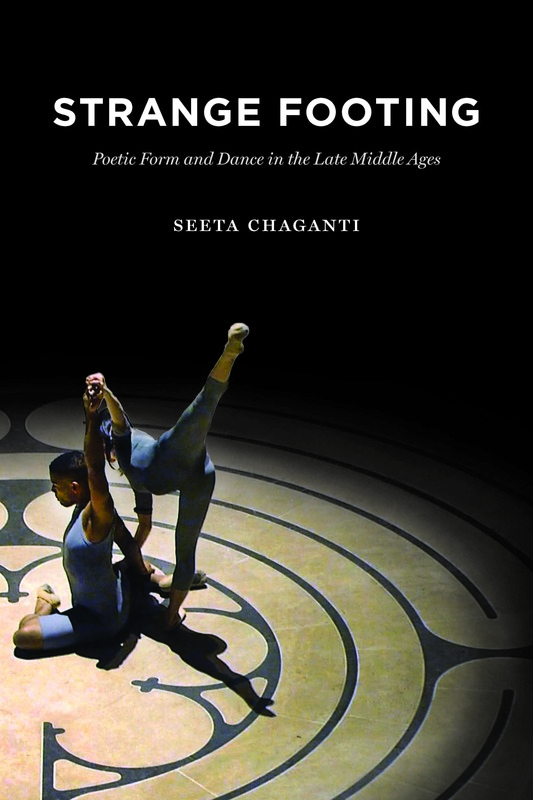 Exploring the complex relationship between medieval dance and medieval poetry, Strange Footing argues that the intersection of texts and dance produced an experience of poetic form based in disorientation, asymmetry, and even misstep. Medieval dance guided audiences to approach poetry not in terms of the body’s regular marking of time and space, but rather in the irregular and surprising forces of virtual motion around, ahead of, and behind the dancing body. Reading medieval poems through artworks, paintings, and sculptures depicting dance, Seeta Chaganti illuminates texts that have long eluded our full understanding, inviting us to inhabit their strange footings askew of conventional space and time. Strange Footing deploys the motion of dance to change how we read medieval poetry, generating a new theory of poetic form for medieval studies and beyond. "Innovative. . . . Bold."